This book, available in hardcover, is a comprehensive guide towards improving interpersonal skills and hence, enjoying life. 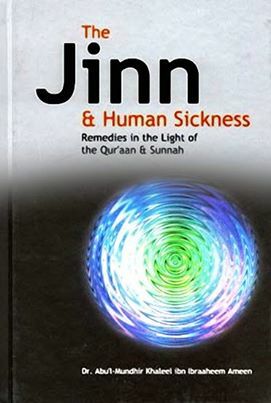 The author has cited multiple examples from the Prophet’s biography as well as his own experience to illustrate the use of specific skills and the impact they can have upon others. Enjoy Your Life! 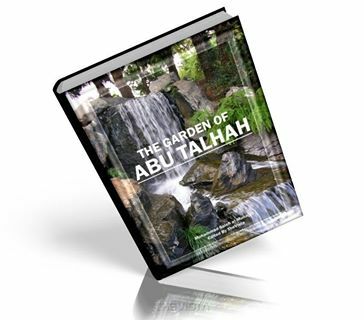 contains personal memories, real-life experiences, and incidents that I have publicised for the first time – praying that Allah, the Exalted, makes them a source of benefit for you. 1- What is the Purpose of Life? Stay connected when your on the Go! 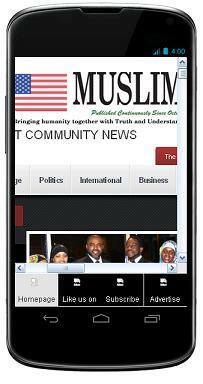 MUSLIM JOURNAL Android App. Who will be the last creature to die? 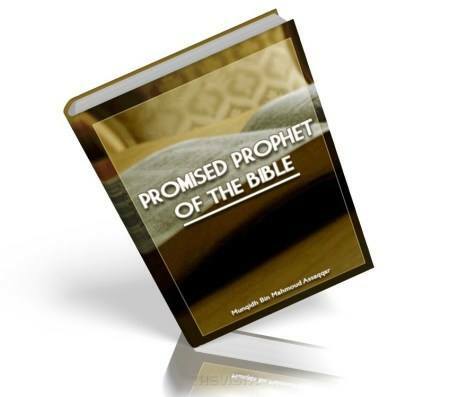 Which prophet had the miracle to cure the blind and the lepers, and to resurrect the dead? Which Muslim Scientist invented a flying machine of silk and eagles’ feathers during the Middle Ages? 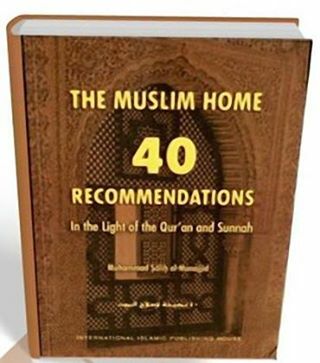 Visit http://www.darussalampublishers.com/apps for complete list of App collection. What is in paradise and what have been said about paradise? 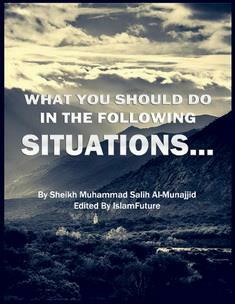 Do not restrict your vision to this world extend it to hereafter. 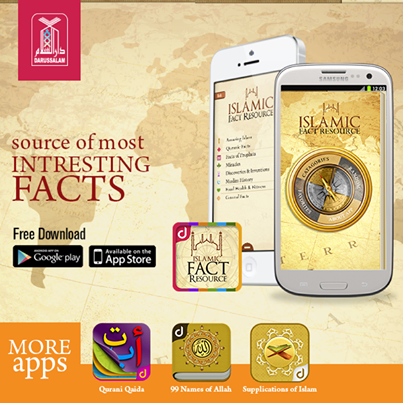 This app consist …of thousands of beautiful fact related to paradise and hereafter. 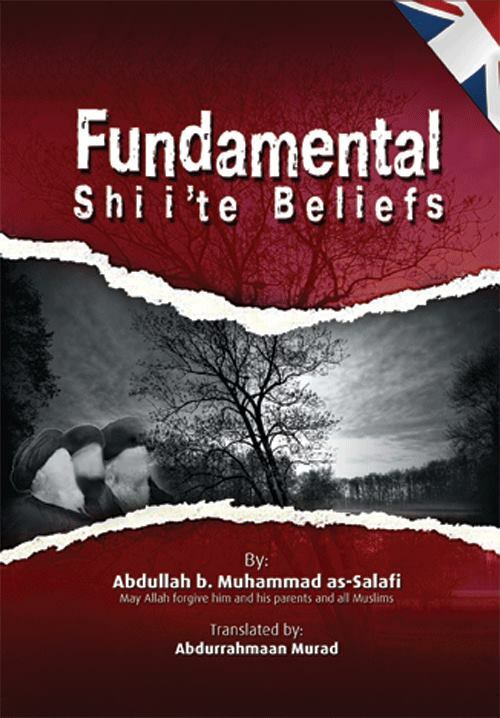 Description of Paradise is also available in ebook format. 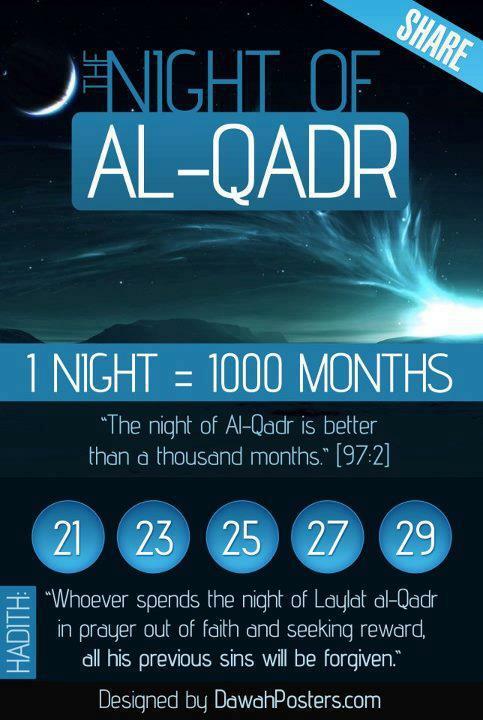 The meaning of Al-Qadaa and Al-Qadar: when mentioned separately both mean the predestination (pre-decree) of an action or event. 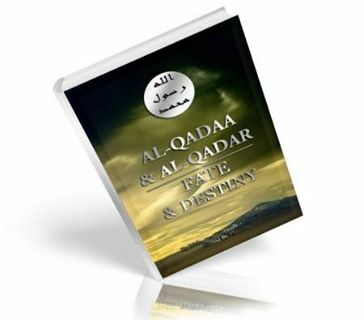 When used together Al -Qadar refers to the pre-decree of an action or event before it occurs and Al-Qadaa refers to the act or event after it took place. If our actions are already pre-decreed, where is the free will? Allah Subhanahu wa Ta’ala sent Messengers to guide ma…nkind to the truth, and we are given the choice of believing and obeying the command or rejecting the truth. 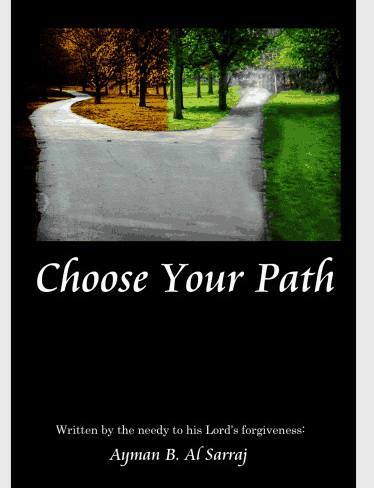 Allah already knows which path we will take, as it is recorded in the Lawh Al-Mahfuz. 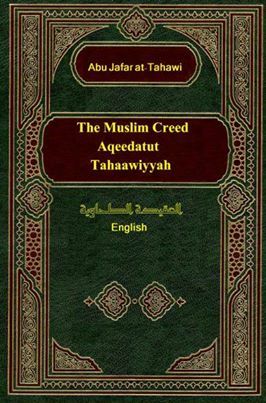 This is a concise book which contains forty authentic ahadîth from the fine sayings of the Chosen Prophet (salAllâhu ‘alaihi wa’sallam) which I gathered as a reminder for myself and my brothers. They contain guidance for cultivation of souls, purification of the hearts and refinement of character…. 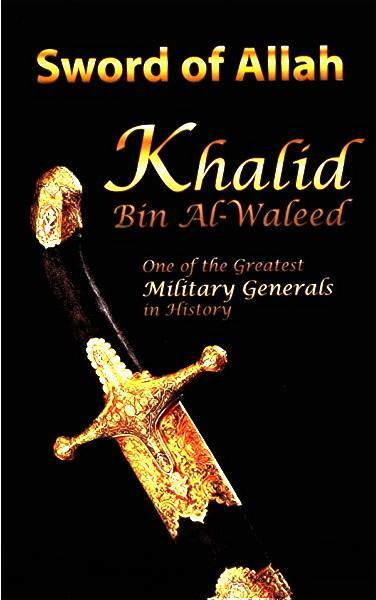 Khalid bin Al-Waleed was one of the greatest generals in history, and one of the greatest heroes of Islam. Besides him, Genghis Khan was the only other general to remain undefeated in his entire military life…. 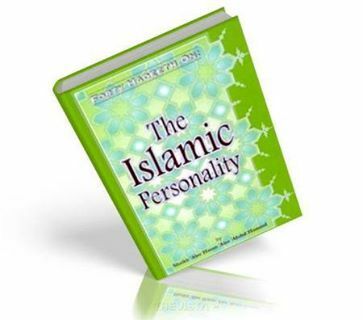 Islam is the religion which agrees with the natural disposition of man. 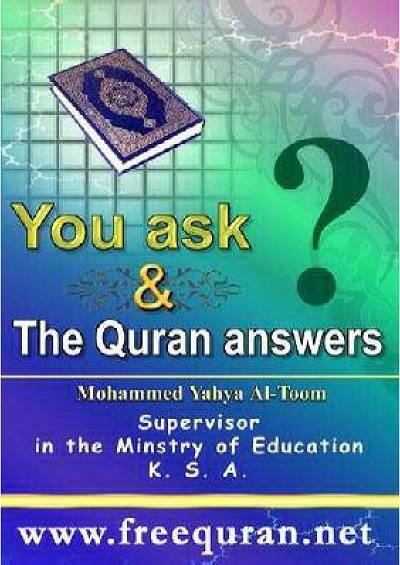 It urges Muslims and calls them to ask about things that are incomprehensible to them, through the consultation of competent and knowledgeable authorities. 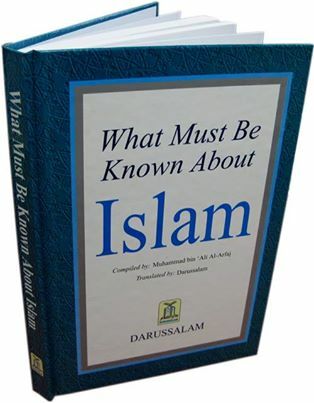 In Islam there are no obscure or mysterious things; it allows us to ask about everything. 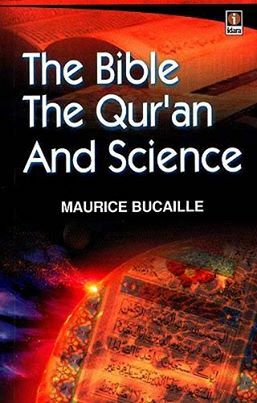 By nature, humans have many questions in their minds that require logical and clear answers, and the Qur’an pro…vides such answers. 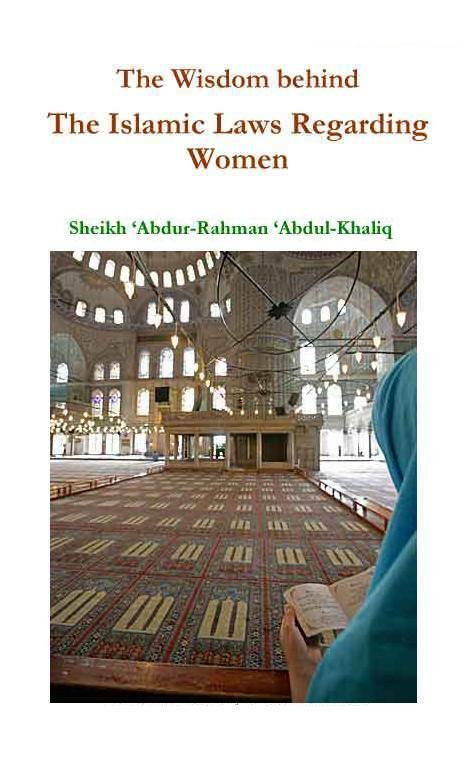 This beautiful book goes over the fundamental five pillars of Islam in detail followed by the …Tafsir of certain chapters of the Noble Quran and a discussion about marriage. 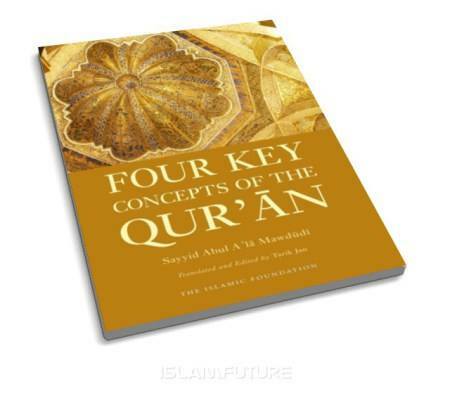 In recent times things have become very confusing and we have begun to see in book stores and on websites speculations about future events, based on ayah and hadeeths which refer to these future events concerning the signs of the Hour. 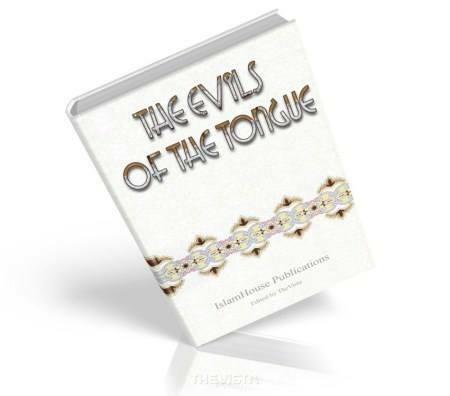 Sometimes you hear about the appearance of the Mahdi, sometimes you hear that the final battle between the Good and the Evil is close at hand, other time …you hear some thing happening in the East or in the West. 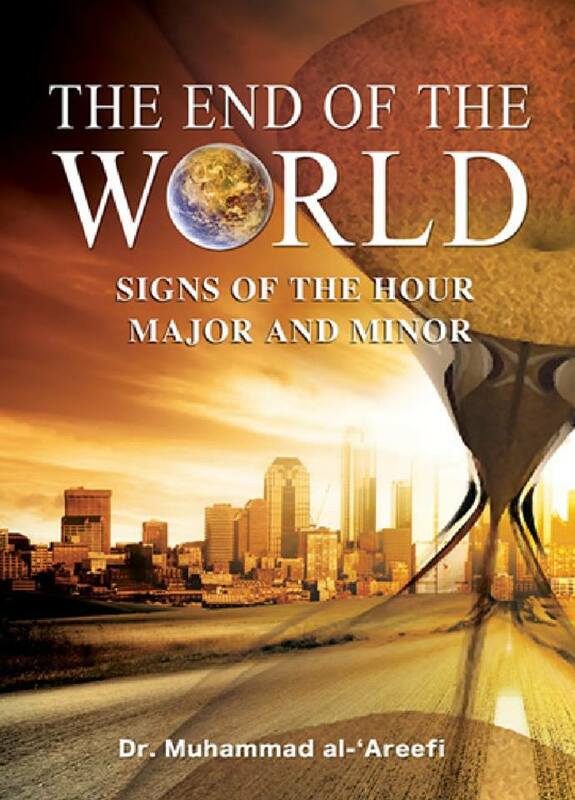 So, learn about the Final hour and it signs by reading this book which is backed by proofs from Quran and Hadith. 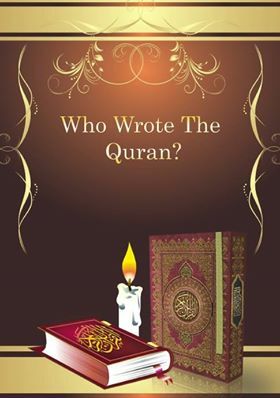 Why does one memorize the Qur’an? Who was the first hafiz of the Qur’an? 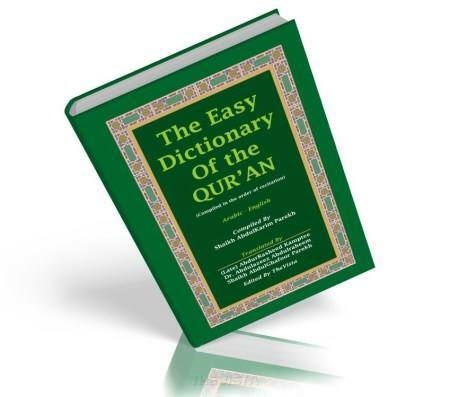 Do the people who have memorized the Qur’an possess some special characteristics? 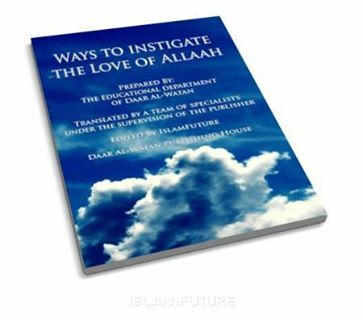 What are the obligations of the hafiz towards the Qur’an and the Ummah? How can one become a hafiz and how much time does he/she require to accomplish that? 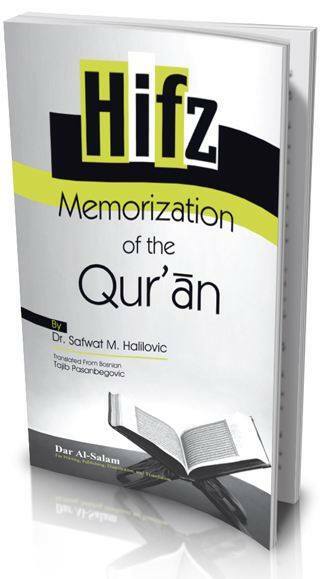 Does the method of memorization in Bosnia differ from the method practiced in other parts of the world? 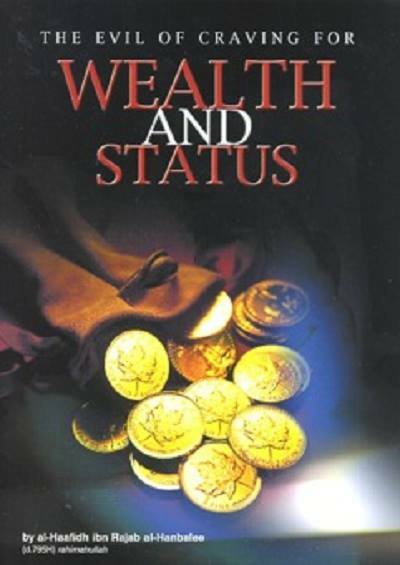 The answers to these and many other questions, along with specific advices and examples, you will find on the pages of this book. 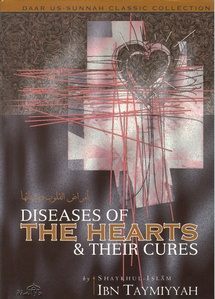 An excellent book , warning us about the dangers of expending our energies in chasing after the transitory things of this world at the expense of the rewards of the Hereafter. 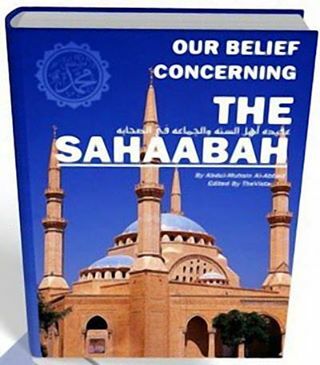 This is an exposition of the beliefs Of Ahl us Sunnah wal Jama’h in accordance with the way of the jurists Of Islam: Abu Hanifa al-Nu’man bin thabit Al-kufi, Abu Yusuf Ya’qub bin Ibrahim AI-Ansari, Abu Abdullah Muhammad bin AI-Hasan Al-Shaibani (May Allah be pleased with them all) and this is what they believe about the fundamentals of the religion and the belief they profess about the Creator of the worlds. 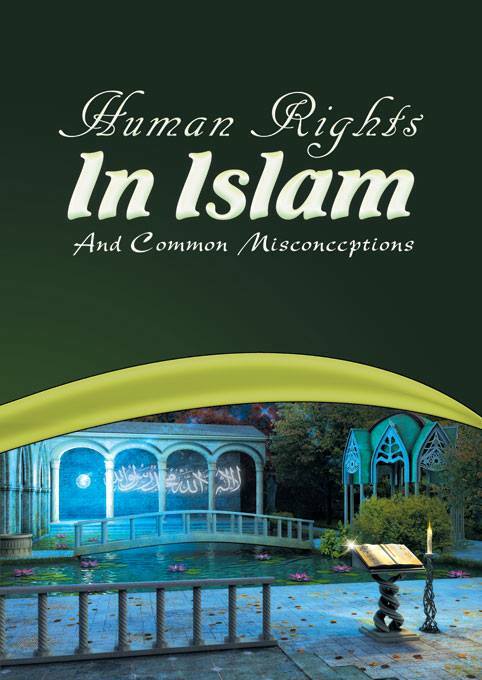 In this booklet the author address human rights in the light of perfectly balanced system of laws and principles of Islam. 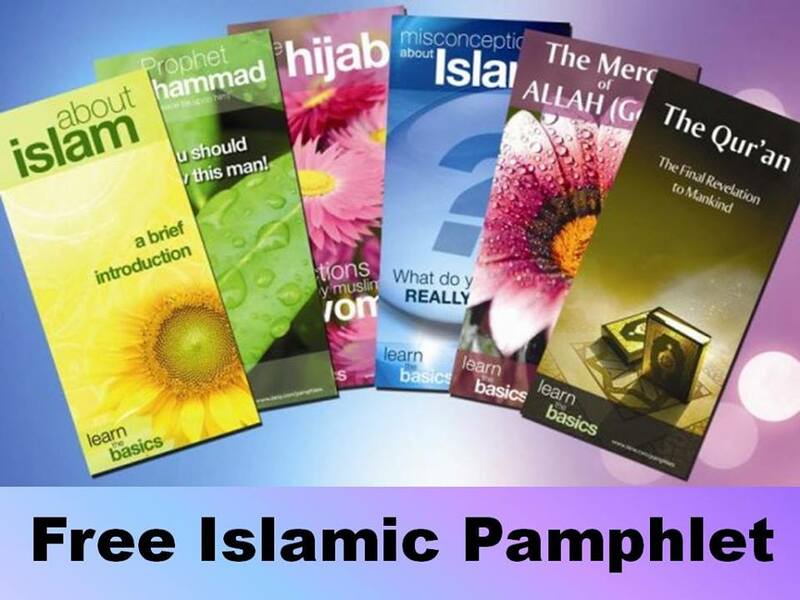 These rights are bases on revelations from the Divine Book of Muslims, the Glorious Qur’an and from the Sunnah, the practice of Allah’s Messenger -pbuh- the two main sources of Islamic life and jurisprudence. 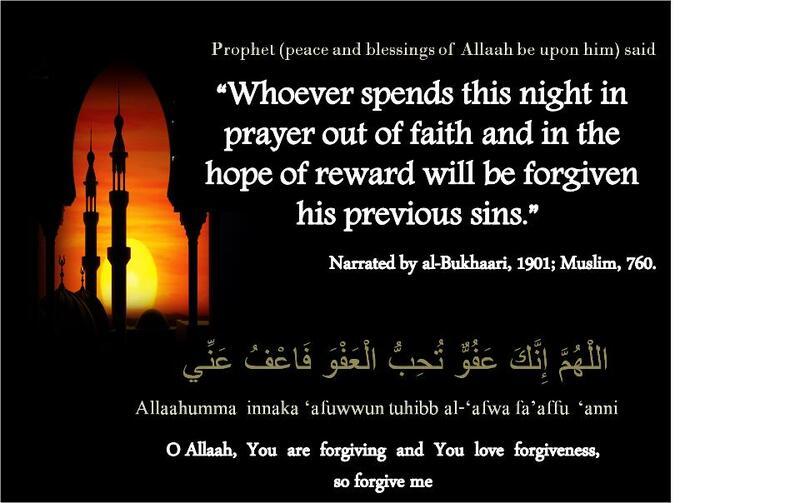 Prophet Muhammad –pbuh- said: (All mankind are mistaker, and the best mistakers are those who make repentance) narrated by Al-Turmuthe. 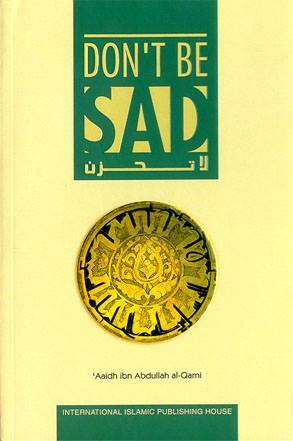 This booklet is small in size yet it is great in value. 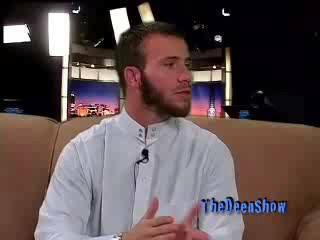 It shows the reality of repentance and the way leading to it. 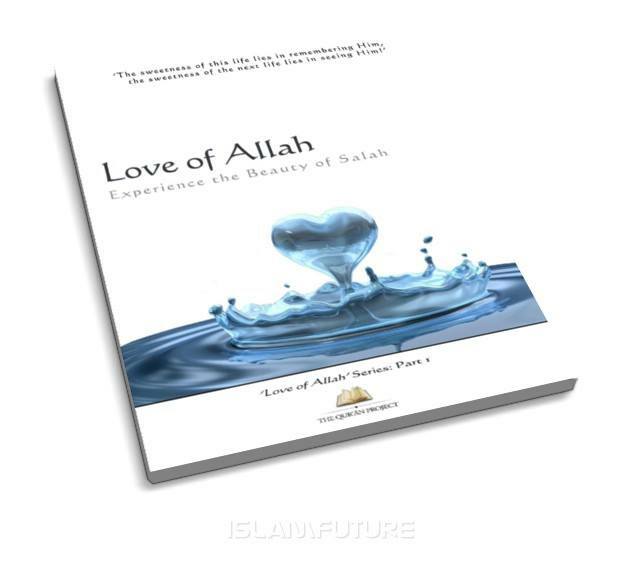 How we can be loved by Allah? 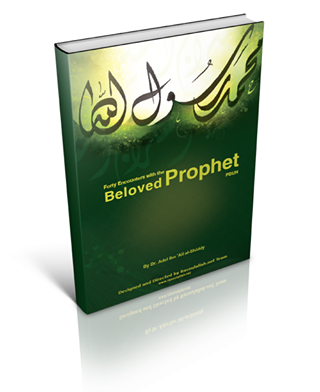 Extract from book, ‘ There is no doubt that the prophet-hood of our prophet Muhammad (saw) is one of two important tasks that the Muslim is carrying to humanity. 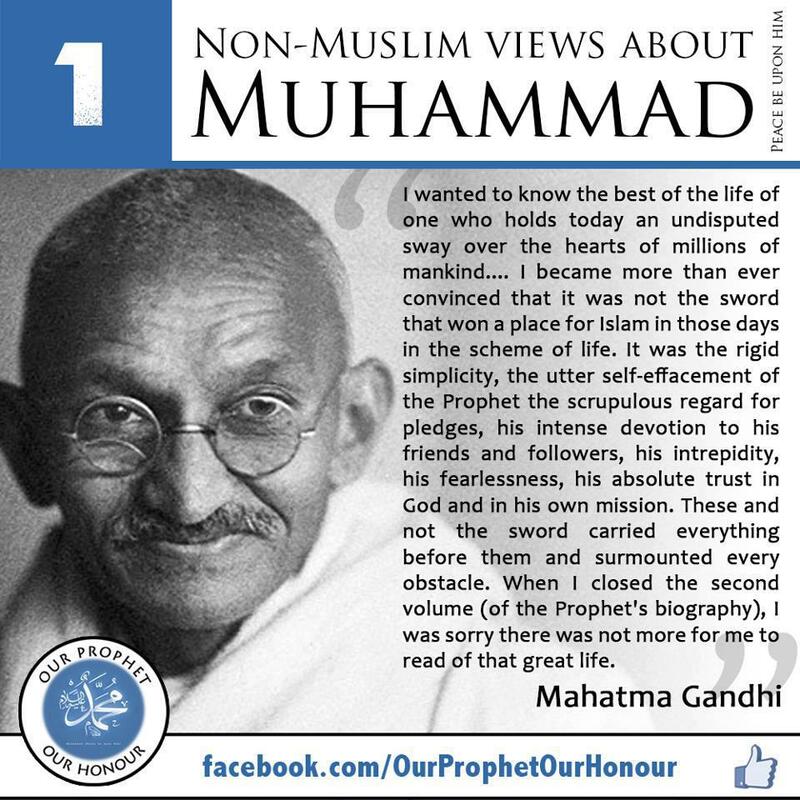 Muslims believe that to prove the prophet-hood of Muhammad (saw) is one of many essential tasks in their religion; therefore, it is a compulsory duty for Muslims to present this evidence and proof. Ever since the dawn of human life on this planet, Man has always sought to understand Nature, his own place in the scheme of Creation and the purpose of Life itself. 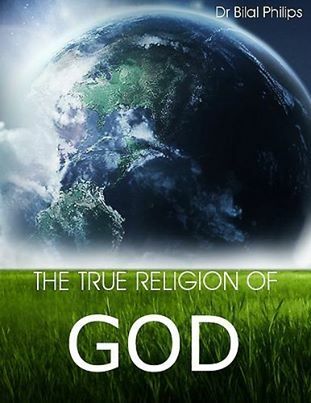 In this quest for Truth, spanning many centuries and diverse civilizations, organized religion has shaped human life and determined to a large extent, the course of history. While some religions have been based on books, claimed by their adherents to be divinely inspired, others have relied solely on human experience and proof. 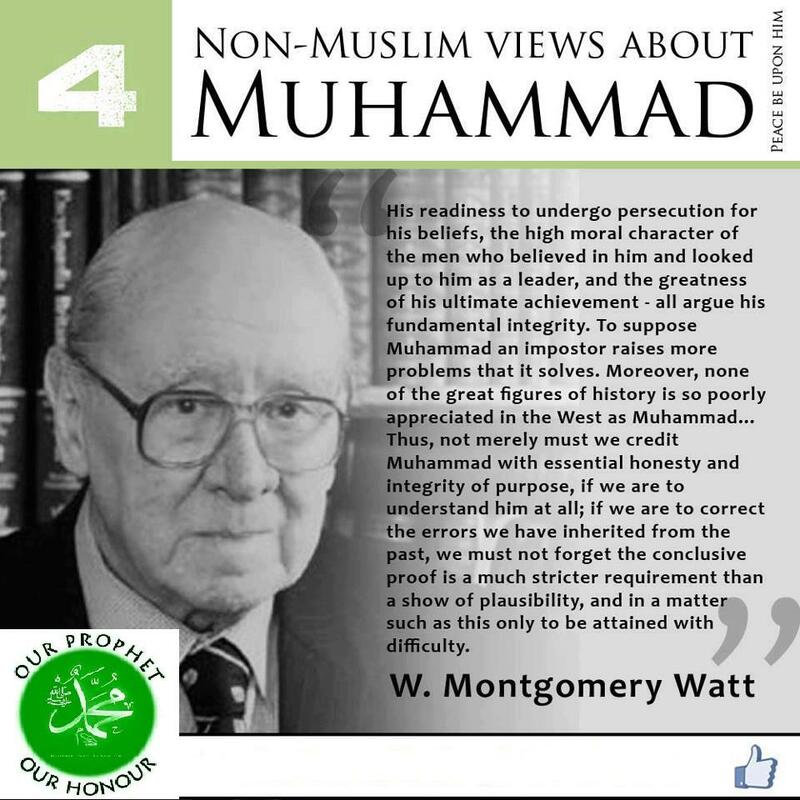 His personality has impacted the three major religions of this world, namely Judaism, Christianity, and Islam. Given the importance of his time on earth, it is critical for mankind to fully understand his pivotal role in shaping history as well as the final days. 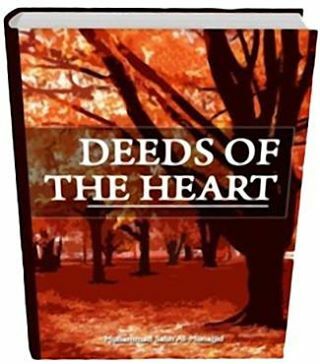 According to the teachings of Al-Islam, the desires and appetites play a vital part in the makeup of every human being; they cannot be ignored. The children of Adam, unlike the angels, face the challenge in this life of mastering these forces within us. If we fail to do so, then we become the servants of our appetites and thus fall below the level of the animal kingdom. 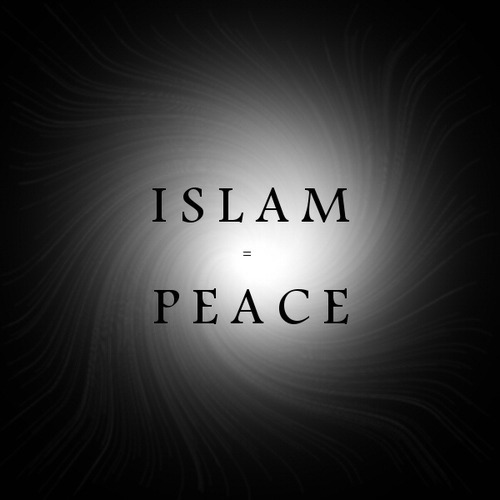 The name Islam is universal in meaning. Islam is not named after a tribe of people or an individual, as Judaism is named after the tribe of Judah, Christianity after Christ and Buddhism after Buddha. 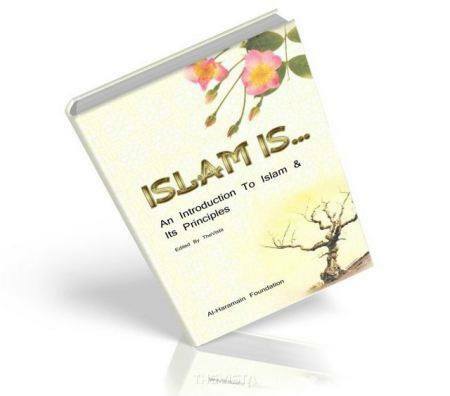 Islam is not a name chosen by human beings; it was divinely communicated from God. Islam is a global faith, not of the East or the West. 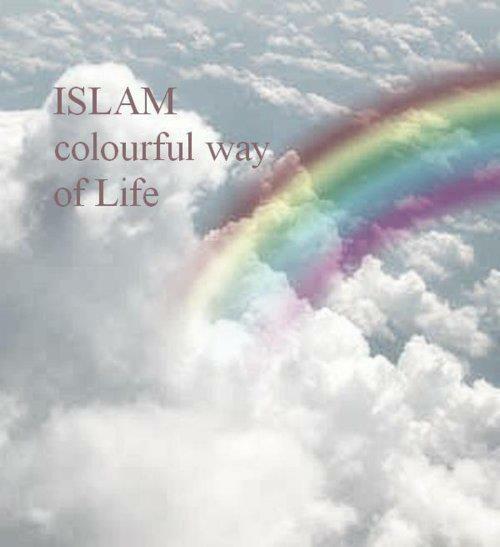 Islam is a complete way of life, implying total submission to God. 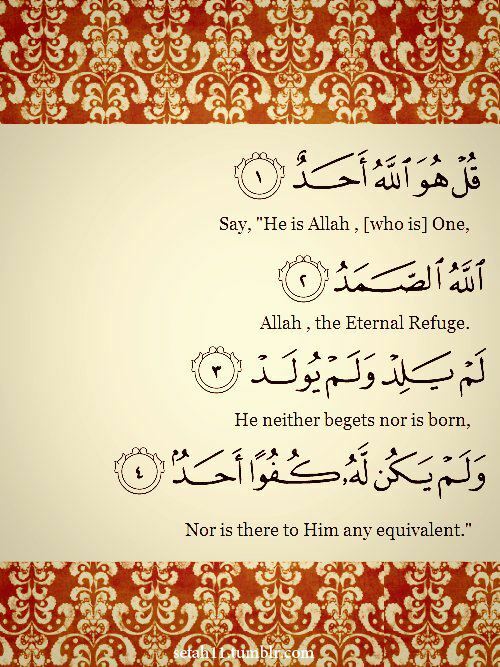 One who surrenders his or her will to God, voluntarily, is called a Muslim. It was not Muhammad (SAW) but Adam (S.A) who first brought Islam to humanity. 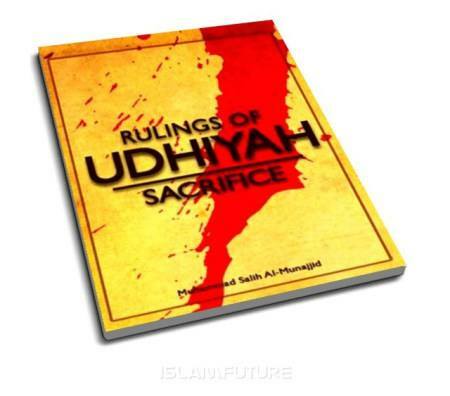 Udhiyah refers to the animal (camel, cattle or sheep) that is sacrificed as an act of worship to Allaah, in the country in which the person offering the sacrifice lives, during the period from after the Eid prayer on the Day of Nahr (Eid al-Adhaa) until the last of the Days of Tashreeq (the 13 th day of Dhu’l-Hijjah), with the intention of offering sacrifice. Udhiyah is one of the great rituals of Islam, in which we remember the Unity of Allaah, His blessings upon us and the obedience of our father Ibraaheem to his Lord, and in this act of udhiyah there is much goodness and blessing. So the Muslim must pay attention to its great importance. This book is a brief look at this important ritual. 10- God cannot be born. 9- No explicit statement in which Jesus said, “I’m God” or “Worship me”. 8- No one can see God in this life. 7- Jesus never taught the Trinity. 6- God does not sleep, eat, drink, etc. Jesus slept, ate, drank, etc. 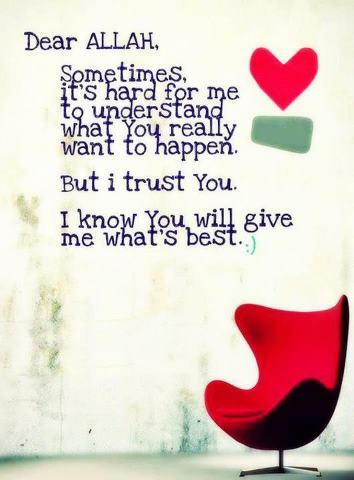 5- Jesus does not know everything. 4- Jesus explicitly states that he is not God. 3- The Bible does not call Jesus the son of God alone. 2- God cannot change. He is perfect. 1- God is the essence of the worship. He is the object of worship. Had Jesus been God, he would have told people to worship him. Truly, he did the exact opposite as in Matthew 15:9. – What are the sources of Truly and Falsely Jesus? 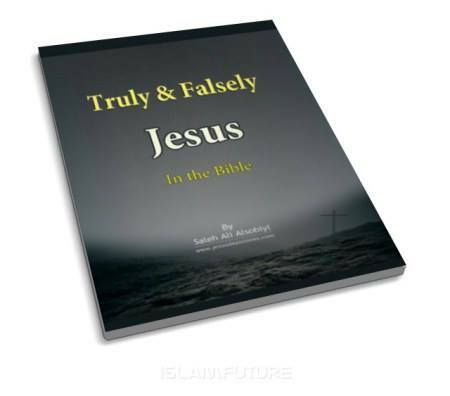 – Why and how did Falsely Jesus appear? – What title can be given to those who hang the image of Falsely Jesus in their hearts? – When does the truth come out and falseness come to an end? 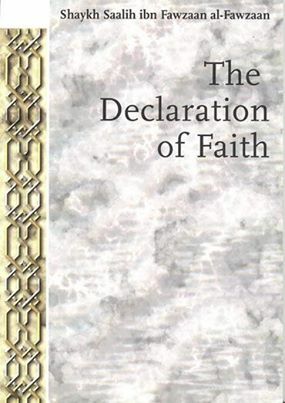 – Can the faith in Falsely Jesus benefit the one who believe in such Jesus? – What is the relation between salvation and Jesus? – What is the destiny of a person who relies on this false understanding? 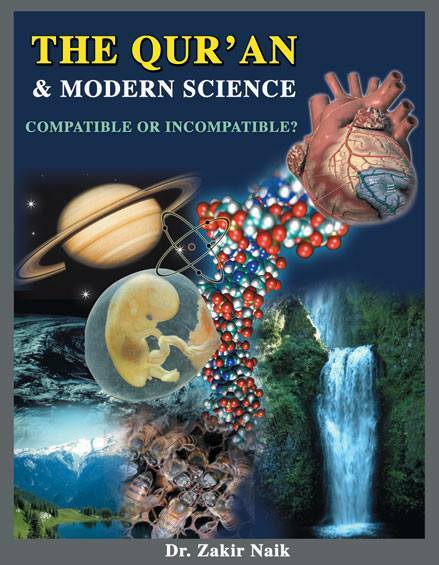 – How can we find the correct way to God, And how can we be sure of it? – What are the conditions of Salvation? 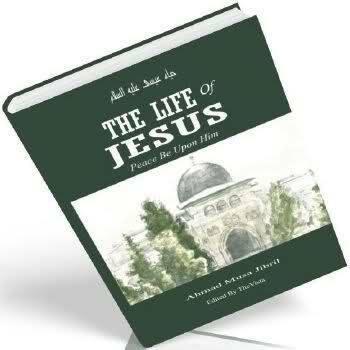 Tags: And how can we be sure of it?, biblical images of Jesus, Can the faith in Falsely Jesus benefit the one who believe in such Jesus?, examines them, explores their difference and answers the questions that may rise regarding, How can we find the correct way to God, Saleh Ali Alsobiyl, What are the conditions of Salvation?, What are the sources of Truly and Falsely Jesus?, What is the destiny of a person who relies on this false understanding?, What is the relation between salvation and Jesus?, What title can be given to those who hang the image of Falsely Jesus in their hearts?, When does the truth come out and falseness come to an end?, Why and how did Falsely Jesus appear? 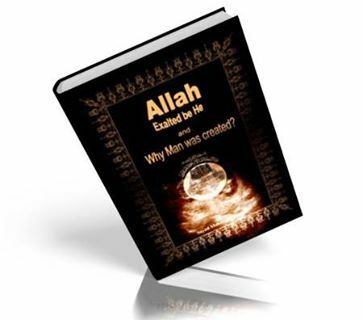 Allah Exalted Be He And Why Man Was Created ? 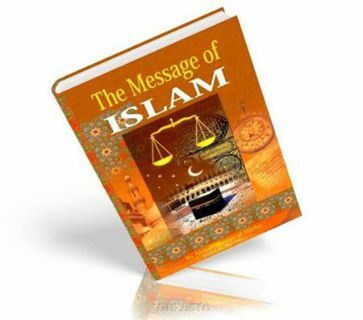 Conveying Islamic Message Society has received from some Muslims in the European countries questions asked by the so- called Christian missionaries. 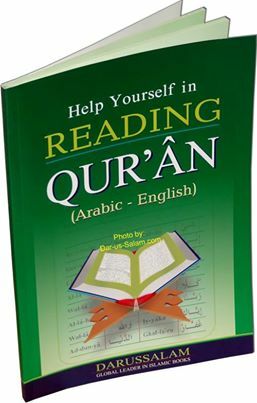 This book on the Opening Chapter of the Muslims’ glorious book Al-Qur’an is a serious attempt to approach a great task. 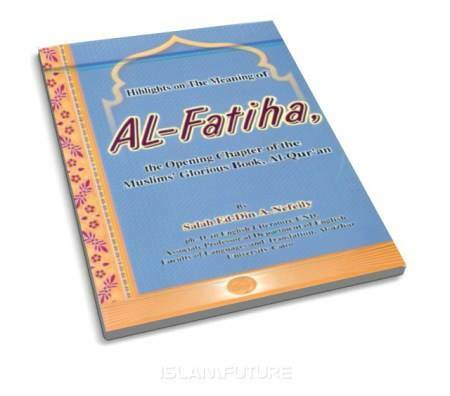 It deals with the chapter or ‘sura’ known to Muslims as ‘Al-Fatiha’, which is described by Prophet Muhammad (Peace be upon him) as the greatest sura of the Al-Qur’an. 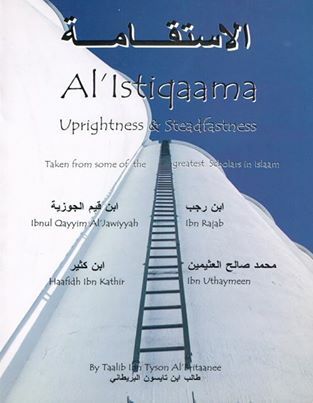 Al-Bay’haqi, one of the greatest Muslims scholars explains that Al-Fatiha sums up the Qur’an and the Qur’an sums up all the books revealed to prophets before Islam. In this sense, the sura introduces the basics of belief, worship and conduct, which lead to the betterment of human beings at large. 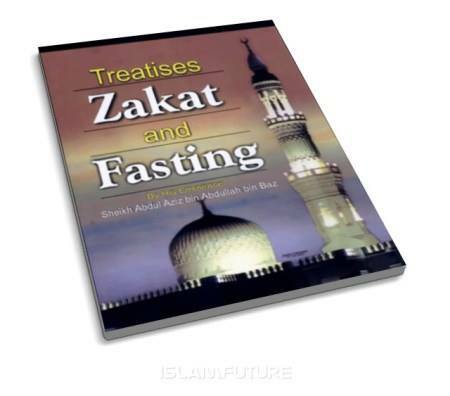 This is a booklet that briefly addresses the rulings of Fasting, including a clarification of the categories of people relative to the obligation of fasting, the immeasurable benefits of fasting, and things that nullify fasting. We will also address the benefits and rulings pertaining to Zakaah. 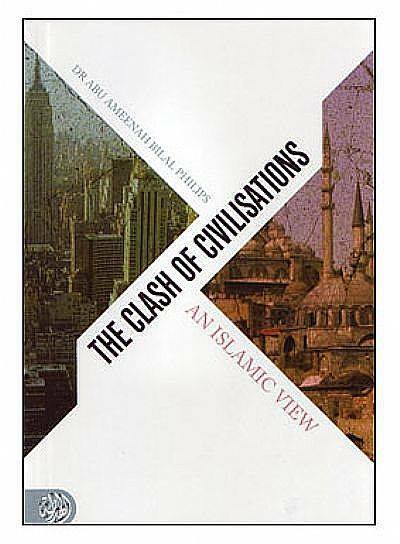 This book divided into five chapters; as follows: Chapter I: Where Am I Come from? Proof God is One and only. Chapter V: What Is Next? Concluded this book with an answer.